Philip Gehrman says he is relishing the opportunity to race under the guidance of rallycross legend Per Eklund in his first season of Supercar competition. 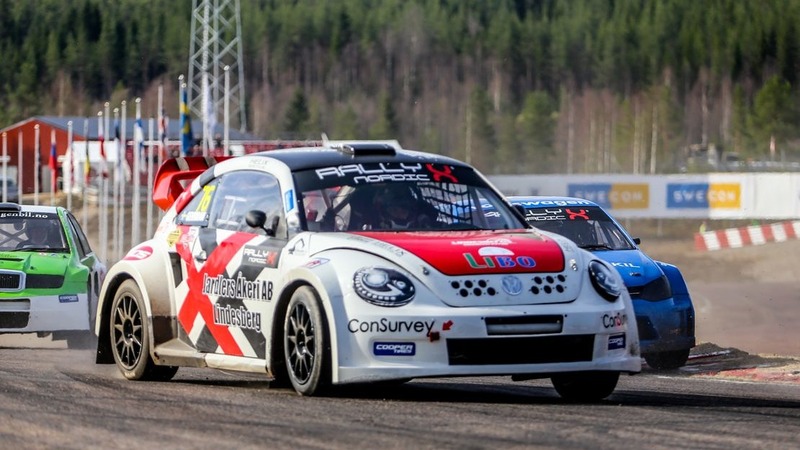 The Swedish racer is this year dovetailing his commitments in the FIA European Rallycross Championship with stints in RallyX Nordic at the wheel of an Eklund Motorsport-prepared Volkswagen Beetle having made the step up from the TouringCar class. With double the power compared with what he is used to, Gehrman nevertheless feels he has adapted quickly. Despite his relative inexperience in a competitive class, Gehrman is already a podium-winner this season after a run to third position in Arvika. As for working with 1999 European Rallycross Champion Eklund, Gehrman says he is enjoying the benefits of working with such an experience racer. “It is a dream to race for Per Eklund. When I was a small kid, I’d watch every race at Holjes for many years and I’d watch Per compete. Now I am standing here as a driver for him.